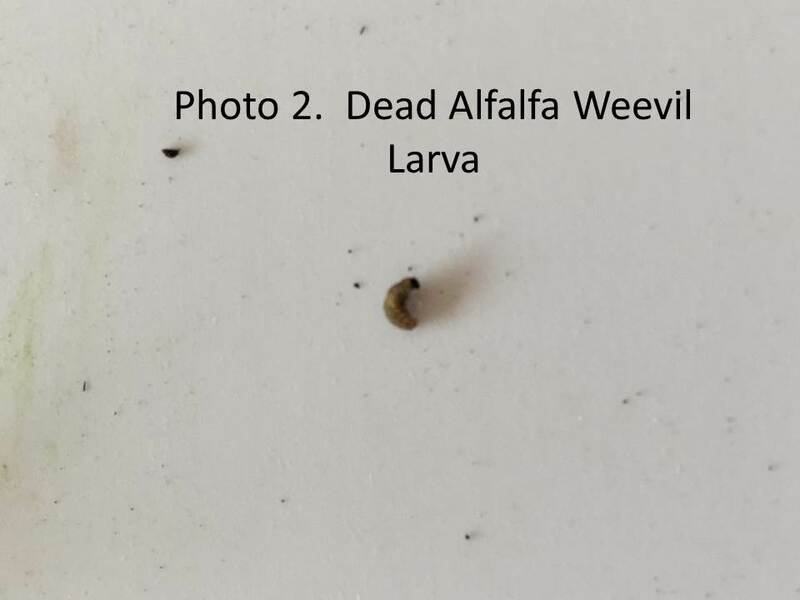 Most corn pests have come and gone throughout north central and south central Kansas, with a few exceptions. 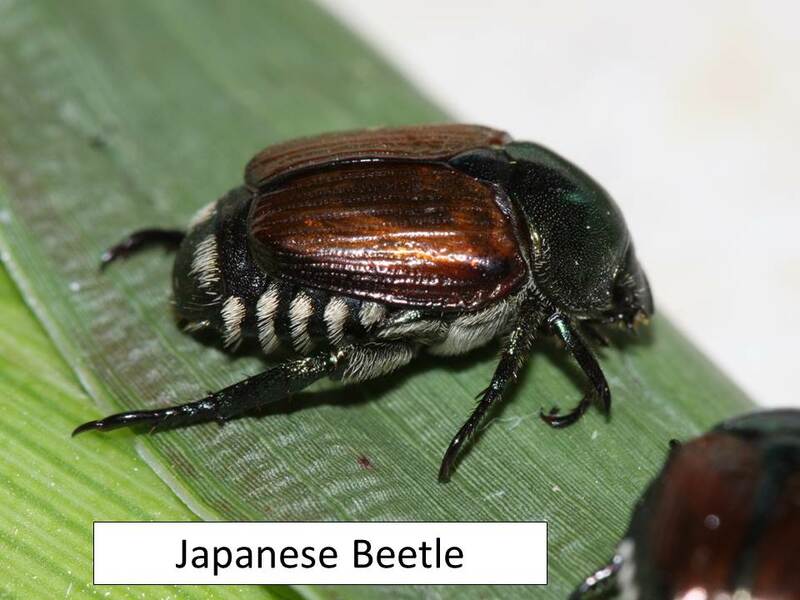 Japanese beetle adults have been causing concern in north eastern KS, from about Topeka to the Nebraska border and east to the Missouri border. 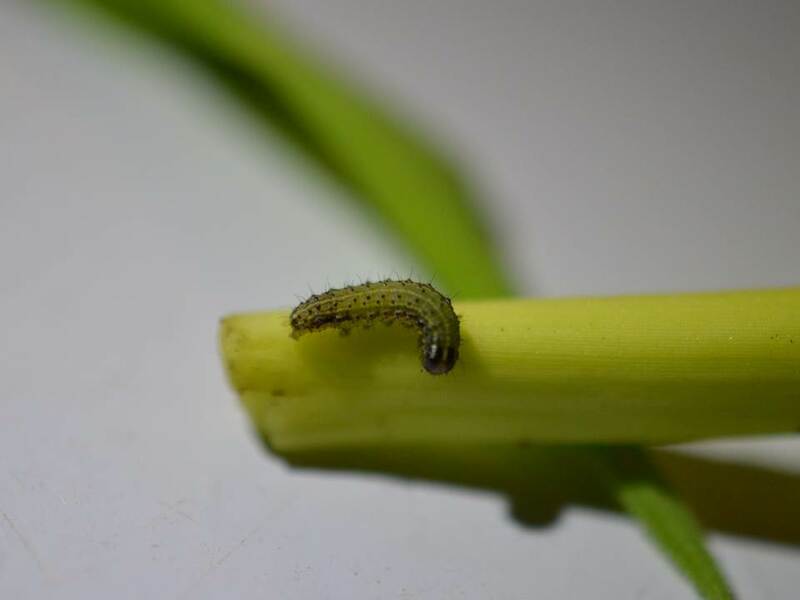 These beetles are attracted to green silks and can feed so voraciously that they eat into the husks and damage some of the kernels on the tip. 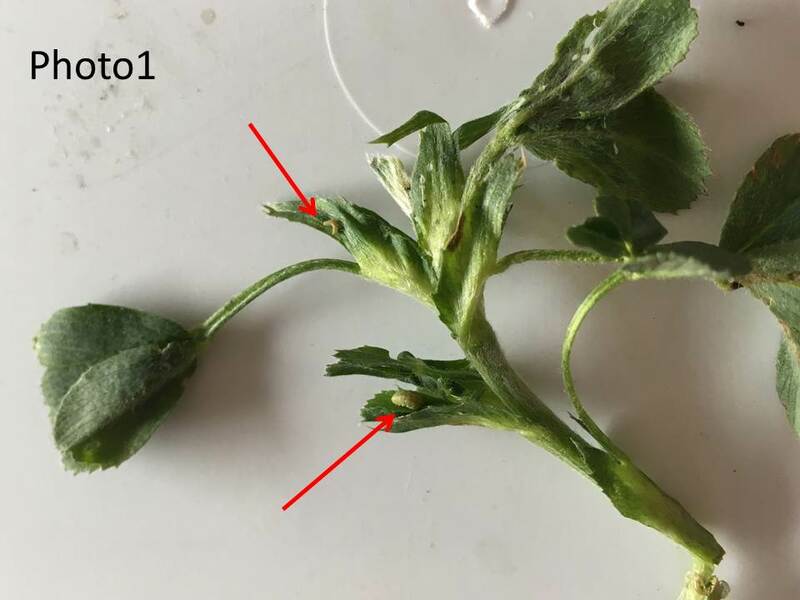 These populations usually do not occur in such numbers to affect pollination over a large area of many fields. 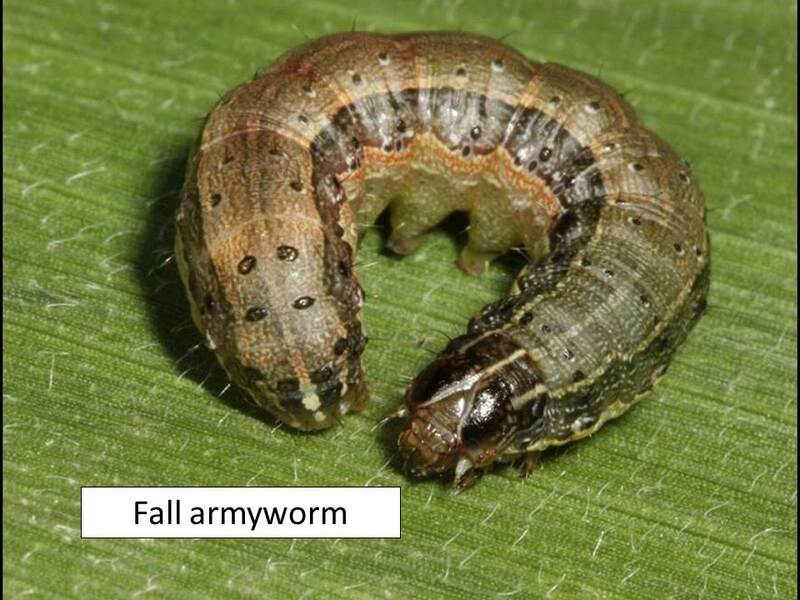 However, in small areas they can cause concern but are relatively well controlled if a foliar insecticide is justified. 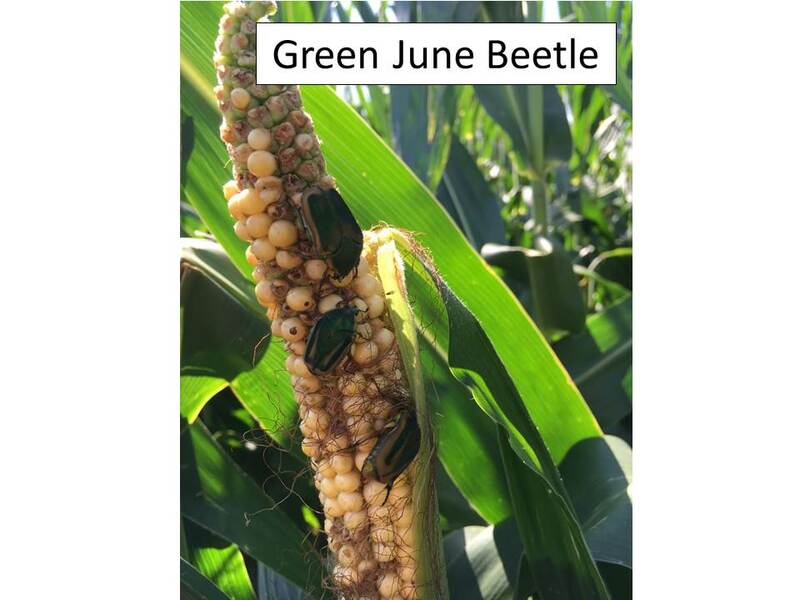 Some adult green June beetles are also feeding on corn silks and/or ‘naked ears’ and have been mistaken for Japanese beetles. 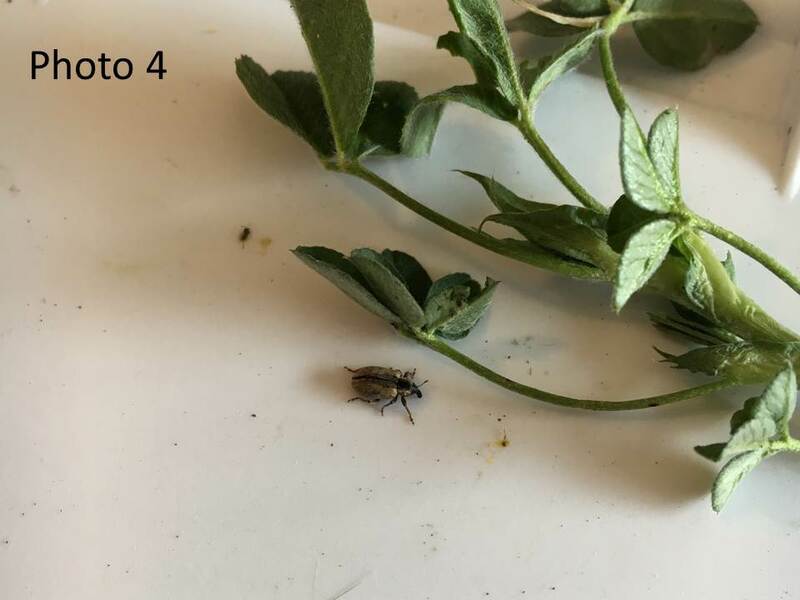 Japanese beetles usually migrate to soybean fields to feed on pollen when fields start pollinating but probably not to the extent that they affect yield. Soybeans seem to be growing well throughout north central Kansas. 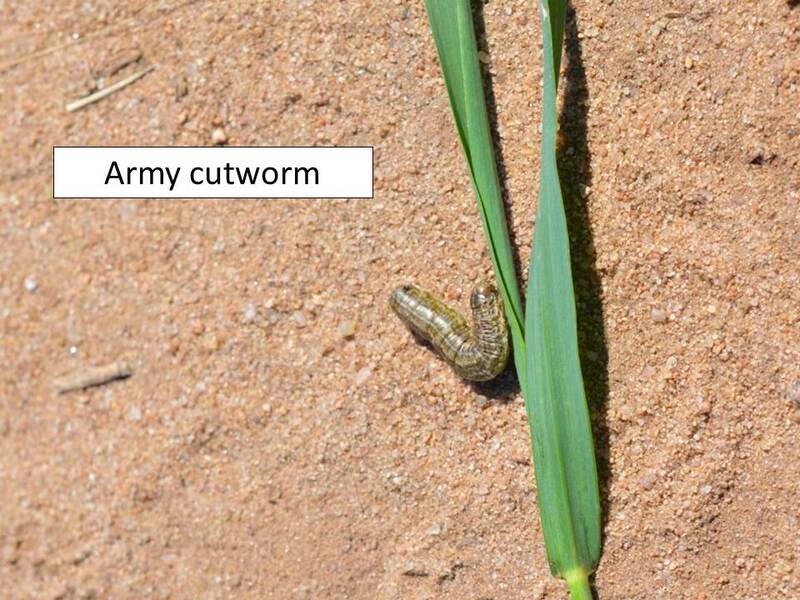 Not too many pests have been noted. 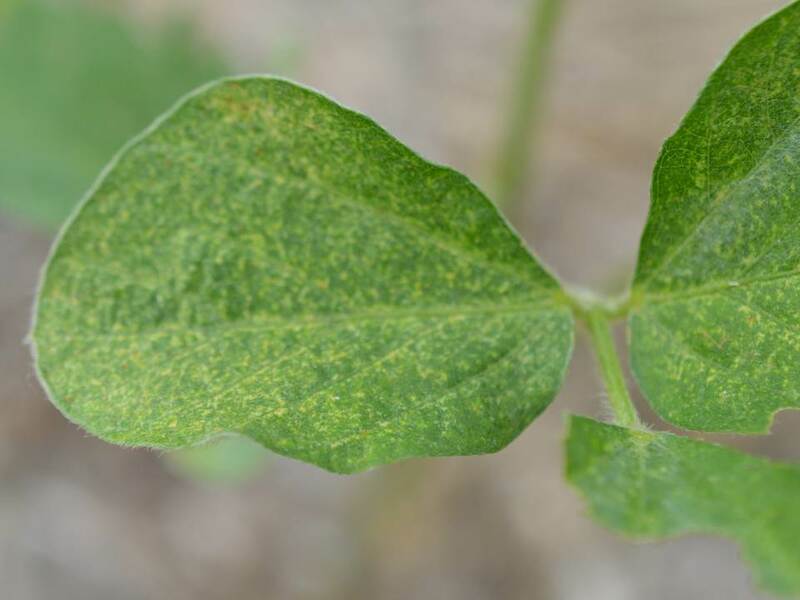 However, there seem to be some spider mite populations building throughout the south central and north central parts of the state. These need to be monitored, especially if adequate moisture is not forthcoming. 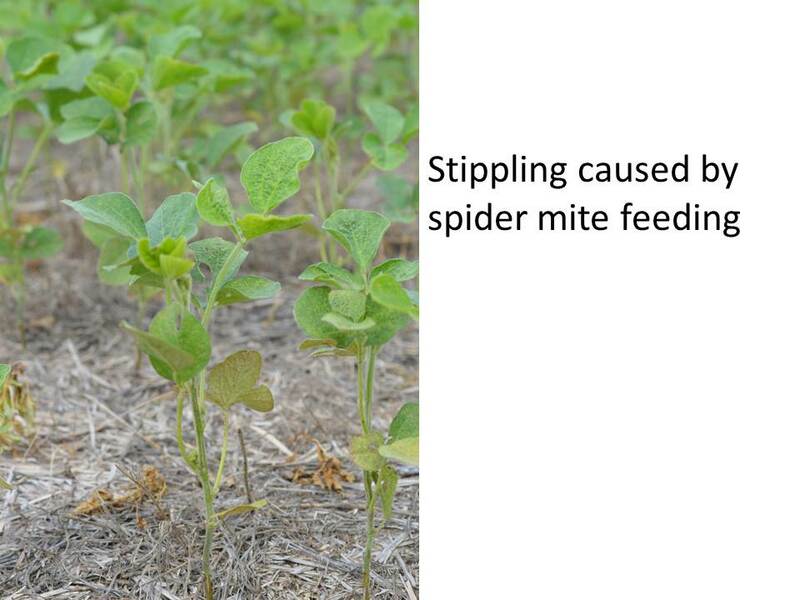 Mite populations can expand very quickly and really add stress to plants that are already moisture stressed. 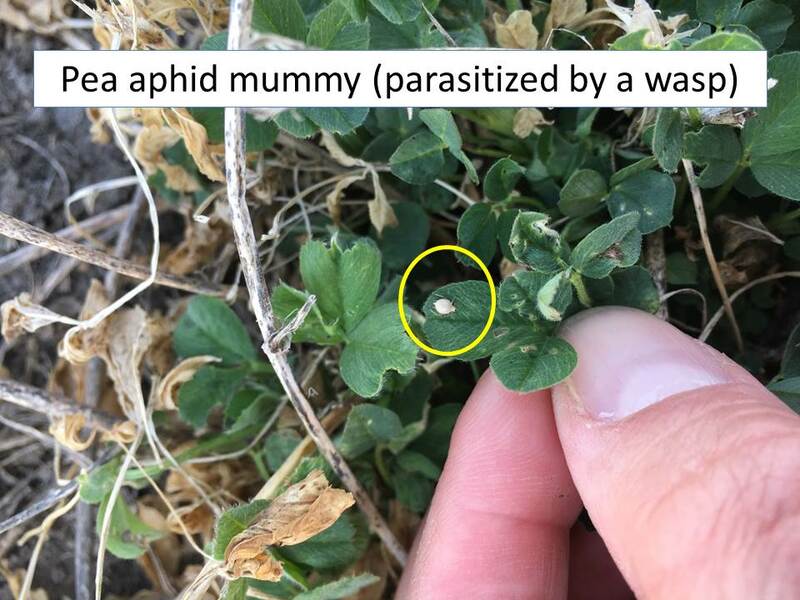 Also, blister beetles are starting to swarm, especially in alfalfa and soybean fields. 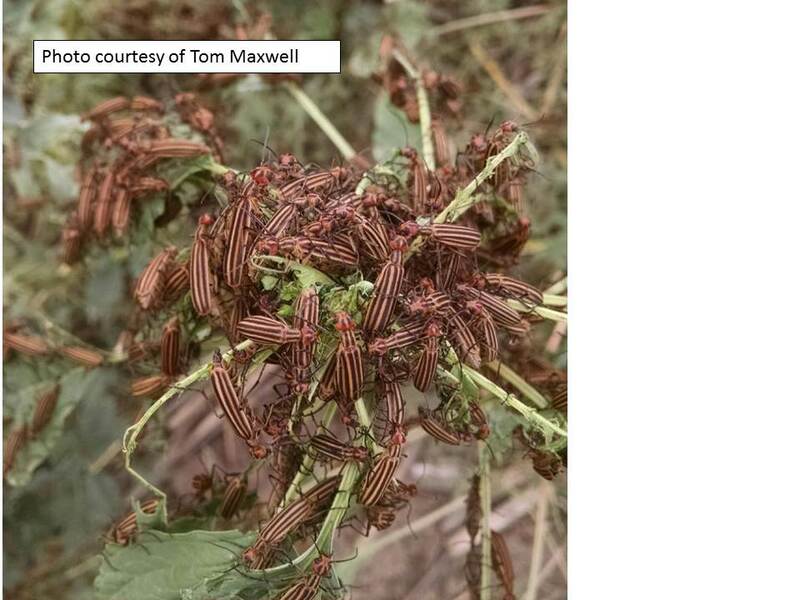 This swarming behavior is primarily for mating purposes and may involve anywhere from a few hundred to thousands of individuals. 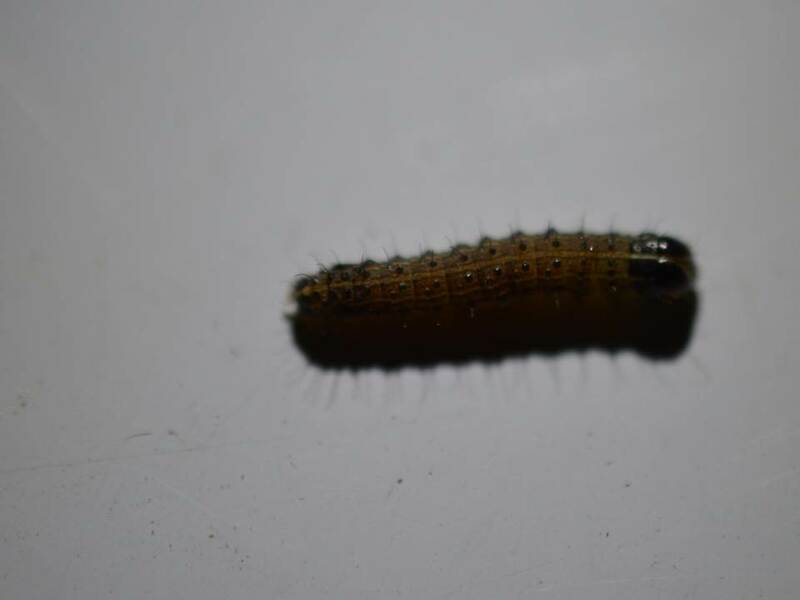 They may feed a little while swarming and actually cause plant loss, but only in small areas where the swarming occurs. Thus, treatment is rarely warranted. Most corn has been planted in SC and NC Kansas, although some has been struggling somewhat with the cooler temperatures, wet soils, etc. 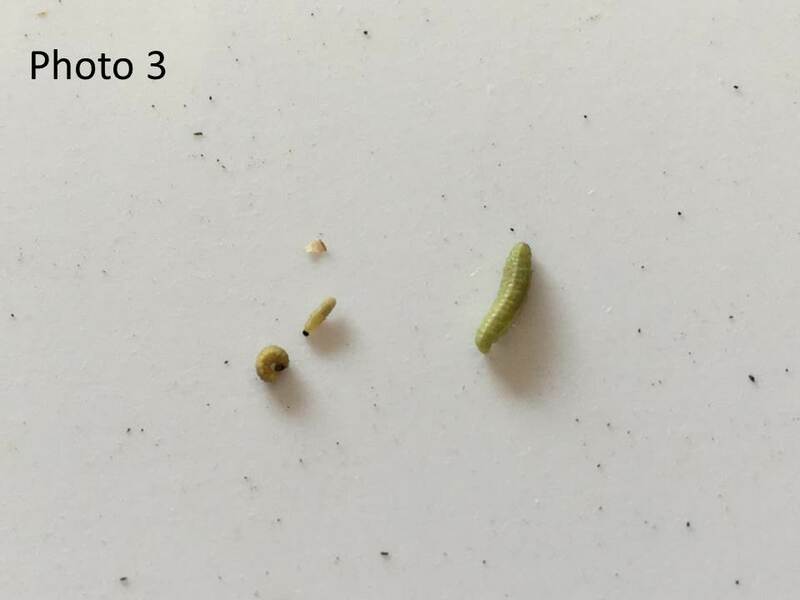 Whatever the case, please remember insecticide seed treatments do a good job of protecting the seed and germinating plants, but not forever. 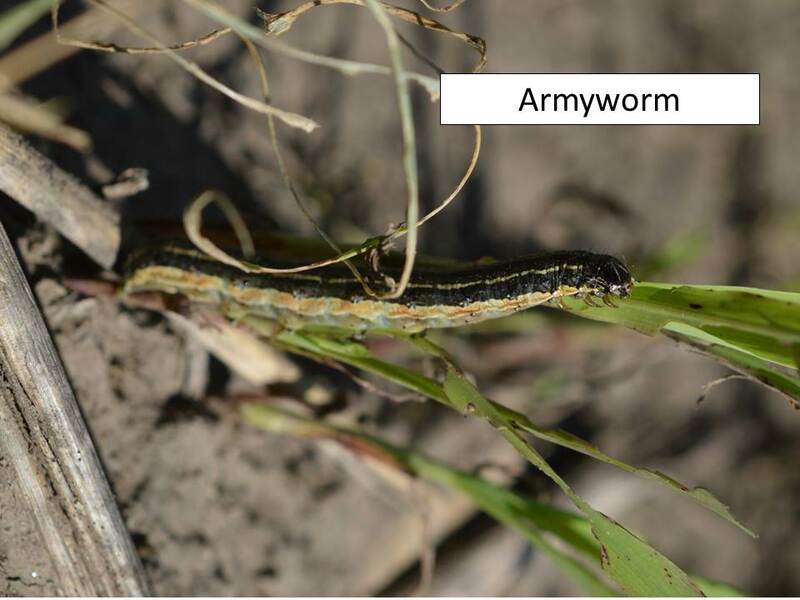 About 3-4 weeks of protection from the time of planting can be expected but after that, wireworms, white grubs, etc. 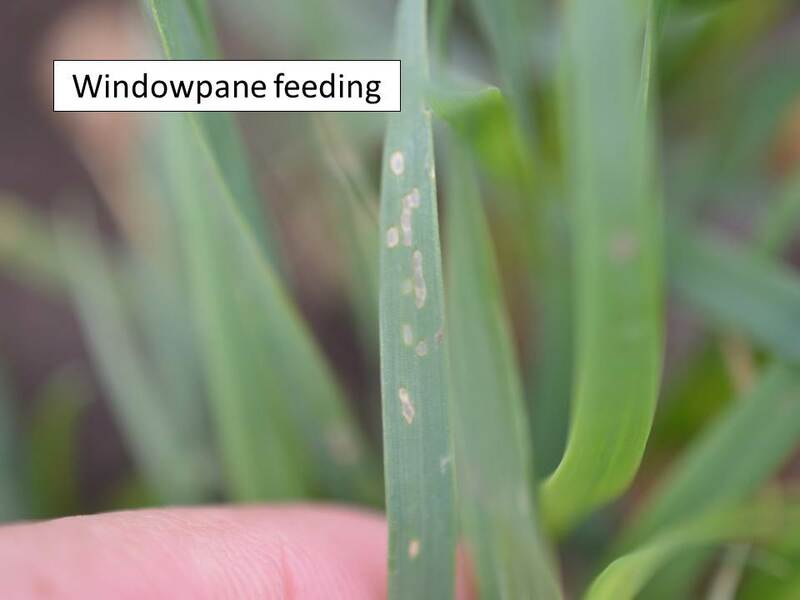 may affect the seedlings, especially under less than ideal growing conditions.